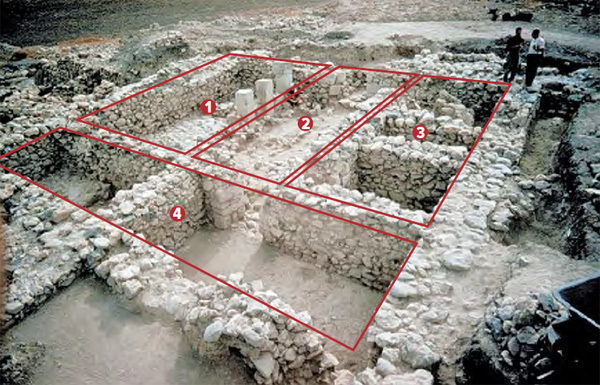 Israelite four-room houses (such as this example from Izbet Sartah), together with evidence of undecorated, utilitarian pottery and simple ancient burial customs, suggests that Biblical Israel tried to maintain the ideologies of an egalitarian society. Image courtesy Israel Finkelstein/Tel Aviv University. Through most of the Iron Age (1200–586 B.C.E. ), the heartland of Biblical Israel was the rugged central hill country, from northern Samaria to the Hebron hills south of Jerusalem. While this area has revealed many material signs of Israelite occupation, it is what archaeologists have not discovered that may provide the most insight into Israelite beliefs. 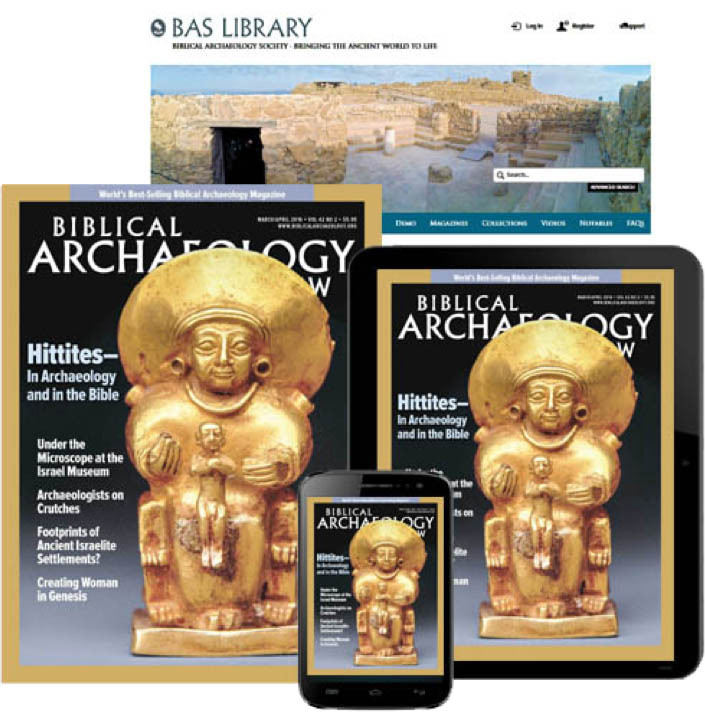 Tombs and evidence of ancient burial customs are rarely found among the Israelite settlements of the hill country, as observed by archaeologist Avraham Faust in “Early Israel: An Egalitarian Society,” in the July/August 2013 issue of BAR. As Faust explains, this “lack of burials phenomenon” is unique to the early Iron Age; in both the preceding Late Bronze Age (1550–1200 B.C.E.) and the later phases of the Iron Age (eighth–seventh centuries B.C.E. ), tombs are common and ancient burial customs well known. How then can we explain this striking gap in the archaeological record of Biblical Israel? Given that neither cremation nor exposure to the elements are supported by the archaeological or Biblical evidence, the most likely explanation is that in Biblical Israel the dead were buried well outside settlements, in areas where archaeologists rarely excavate. These burials were simple inhumations without grave goods or adornments. But while this explains the lack of Israelite burials known to archaeologists, the more difficult question is why the dead were buried so simply in Biblical Israel in the first place? Faust argues that ancient burial customs in Biblical Israel reflect the ideology of an egalitarian society in which simplicity and equality are highly valued. Israelites used simple inhumations to distinguish themselves from surrounding cultures that tended to bury their dead in elaborate tombs, accompanied by more ostentatious displays of wealth and burial goods. This emphasis on simplicity is found in other aspects of the material culture of Biblical Israel as well. The undecorated, utilitarian pottery so typical of Israelite settlements, for example, stands in marked contrast to the elaborately painted wares of the Canaanites and Philistines. Similarly, the characteristic Israelite “four-room house” offers easy access between rooms and lacks an obvious hierarchal arrangement, another sign of the ideology of an egalitarian society. It must be stressed, however, that Biblical Israel was far from a pure egalitarian society. There is no such thing as a truly egalitarian society, and the kingdoms of Israel and Judah were quite hierarchical, as demonstrated by history, archaeology and the Prophets. Biblical Israel, however, appears to have had an egalitarian ideology in which people were expected to live by a code of simplicity and equality, even if the social reality was quite different. 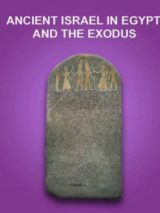 Learn more about the significance of ancient burial customs in Biblical Israel in Avraham Faust, “Early Israel: An Egalitarian Society,” Biblical Archaeology Review, July/August 2013. Not a library member yet? Sign up today. The Four-Room House: Typically Israelite? Where Were the Old Testament Kings of Ancient Jerusalem Buried? This Bible History Daily feature was originally published on July 12, 2013. Not just burial; the Lachish letters in the later kingdom of Judah reflect a remarkably egalitarian attitude in the army, unknown in the Middle East. Maybe this was a norm during the Judges Era, and the main reason for the initial reluctance of Samuel towards anointing a king..! Whether burials reflected egalitarianism or not ( I think they do), there was an effort in the Bible to keep Israel/Judah humble, modest, frugal. Kings were not to accumulate too much gold, horses, or wives. Since the priesthood and temple was to remain till the messiah should come and be installed, and Israel remain chaste and loyal to God, certainly being non-materialistic in focus as well as being compassionate and God-fearing. God bound Israel to its land and boundaries so that trade and mercantilism did not infect them with greed. but if there is one thing that has been consistent with those who try to follow God, it is that struggle with materialism overcoming the modesty and piety required by God. Both Christians and Jews have had their share of challenges in trying to keep the proper balance in pursuits. But the bar has always been set high for those seeking God and that has made it elusive for many. 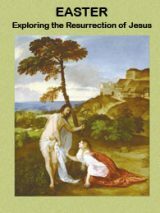 To JAllan on Christians getting cozy with tombs, I think the cause, written on by Isaac Newton, of all people, show the veneration of saints (not justified) to be the cause since turning the unclean into a veneration, if not worship, of those “saints”/relics, is the cause for turning the Bible upside down and inside out. Really, Christianity wasted no time in overturning nearly every doctrine passed on to them. By the mid 3rd century AD, Christianity was unrecognizable from say, late 1st or very early 2nd century doctrine and conduct.